"The dessert was disturbingly black, a surprising texture and very sweet. 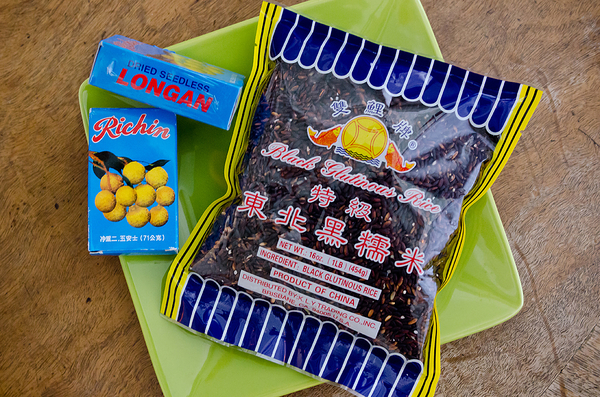 It reminded Amy of some of the slimy textures Chinese love that Americans find taboo at first....."
The key ingredients shown in the lower photo are Black Glutinous Rice and Dried Seedless Longans, which you can substitute raisins for if you like. The technique is simple and similar to rice pudding in many parts of the world.